Dear Quentin: I don’t do vehicle research, but I can guide you through the issue. First, when you buy a car, make sure that you put the car first, and the infotainment system second. Then, have a look at this recent posting from the AAA Foundation. Researchers from the University of Utah compared CarPlay, Android Auto, and native infotainment systems. 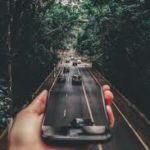 The Utah team have been railing for years about distracted driving and smartphones so their software tests are informed and useful. BTW, they say that texting and setting a navigation system are the most cognitively demanding tasks. 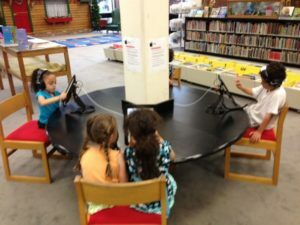 Taking kids to library…where they play on Ipads! Dear Mora: It’s a generational thing- you and I may not quite get it. The skills for reading well and remembering content on digital media may be different than the skills for reading well and remembering content in print. Many educators see the need to offer both. Check out this older podcast from Julie Coiro.I like the point that good readers and experienced gamers may differ in their reading preferences. Here is a more recent story compiled by KQED radio. This Anaheim teacher is developing cognitive strategies that help to deepen reading comprehension (online?). We are at the infancy of our understanding the differences. Meanwhile, enjoy your weekly visit and encourage the grandkids to check out reading books, just like you do! Author adminPosted on April 15, 2019 April 15, 2019 Categories ScreenTime, Smartphones and Online Relationships, Smartphones and Young ChildrenLeave a comment on Ipads in Library? 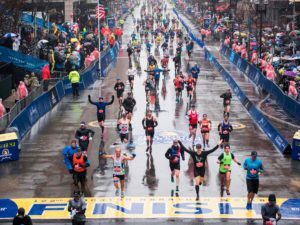 Boston Marathon runner wonders whether to bring her smartphone along. Dear Brooke: No! You trained so hard for the race, don’t be distracted. Focus on running, not on selfies. There’s plenty of time before the race, and after to get your best pic. Do not overlook the fact that you might distract other runners if you take out your phone during the course. Plan to have your friends cheer you on, say midway, or meet them at the finish line. This way they can snap the photo finish and you can set your marathon personal record. Good luck to everyone. Remember to leave home without it if, you are a runner. Leave home with it if you are following someone or cheering them on.